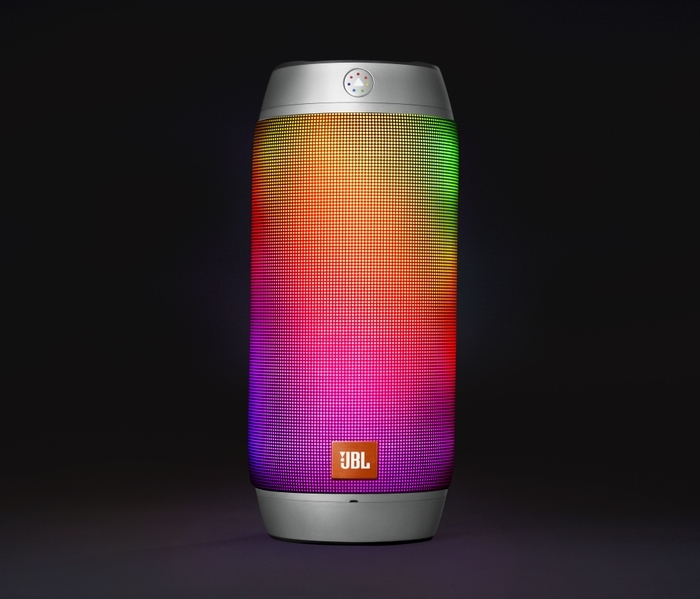 IFA 2015, BERLIN – Today, HARMAN International Industries, Incorporated (NYSE:HAR), the premier connected technologies company for automotive, consumer and enterprise markets, unveils the JBL Pulse 2, a wireless, splash proof speaker that transforms any space into a party through a captivating light display. With sensational sound and synchronized flashes of vivid, full-color light, the JBL Pulse 2 intensifies music anytime, anywhere. 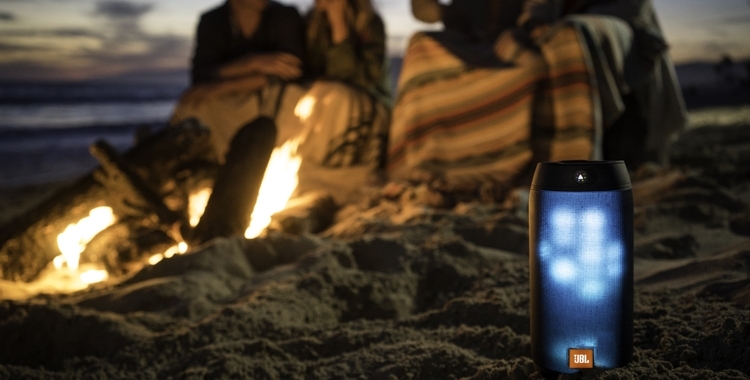 Listeners can wirelessly stream songs from any smart device and watch the glow of the JBL Pulse 2 as it illuminates the room or evening sky to the rhythms of their favorite hits. To elevate and personalize the LED lightshow experience, the JBL Prism color sensor lens matches and reflects any color it’s pointed at, amplifying the colors of life. The high-quality stereo sound, splash proof design and 10 hours of playtime make the JBL Pulse 2 the perfect party companion. 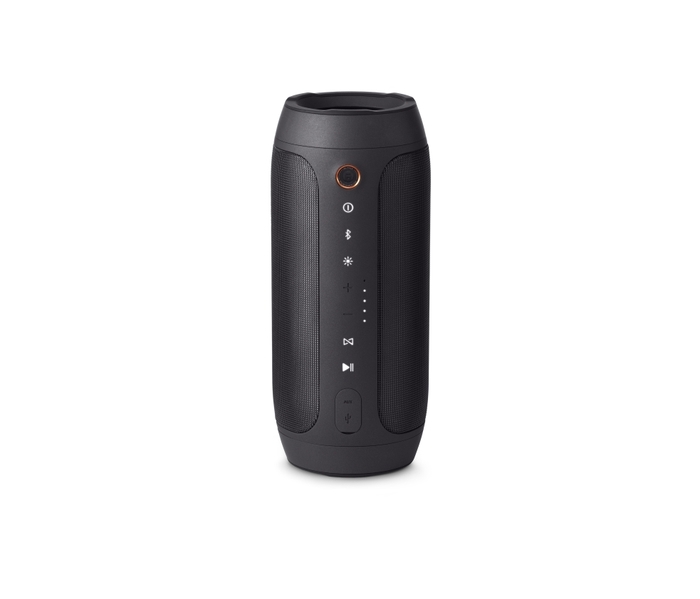 To further amplify the listening experience, the JBL Pulse 2 features a noise and echo cancelling speakerphone for crystal clear calls and JBL Connect technology to wirelessly link multiple JBL Connect-enabled speakers together. For those looking for the pinnacle of personalization at the tip of their fingers, the JBL Connect app lets users further customize the lightshow and configure JBL Connect settings. 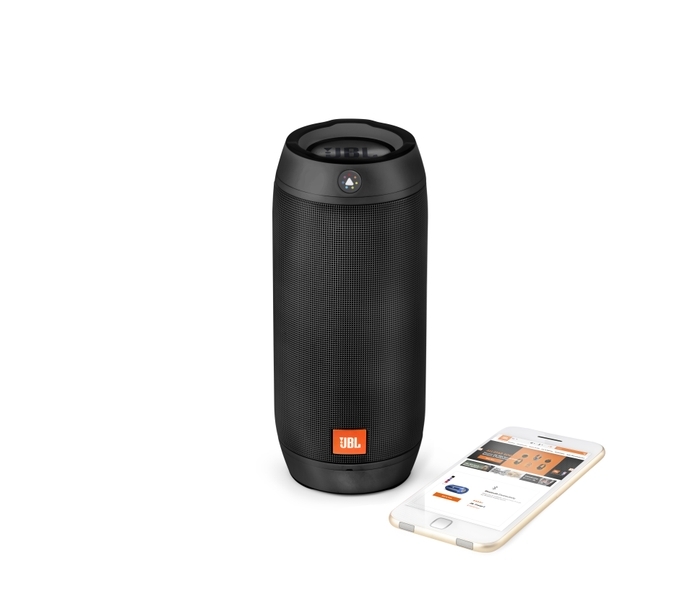 Download the JBL Connect app to unlock even more interactive features waiting to be discovered on the JBL Pulse 2. The latest addition to JBL’s growing family of splash proof portable speakers, JBL Pulse 2 gives music lovers powerful sound anywhere, anytime. 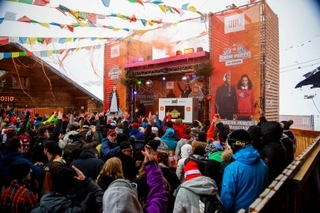 JBL splash proof portables include the JBL Clip+, JBL Charge 2+, JBL Flip 3, JBL Pulse 2 and JBL Xtreme, and seamlessly stream songs from your smartphones or tablets. 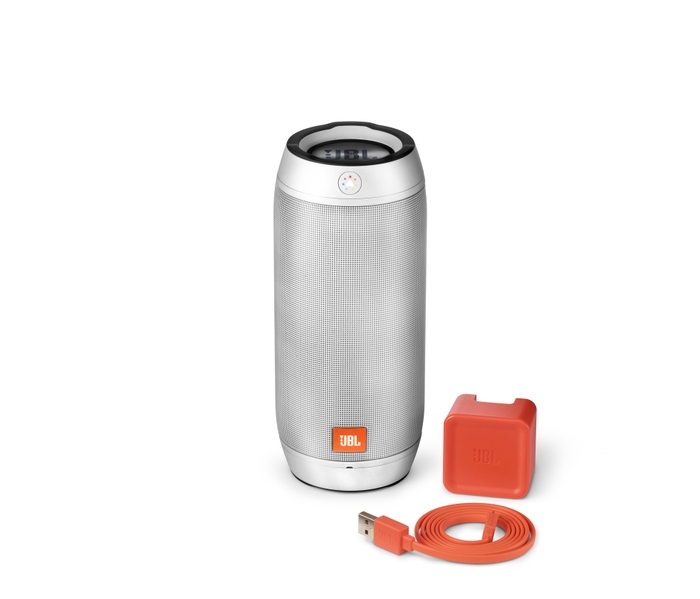 Whether relaxing on the beach, camping on a mountainside or unwinding at home, JBL portable speakers elevate the experience through immersive audio.